When Franklin Davies died, his wife, Jennifer was quite confident that all their ducks were in a row. After Franklin inherited a significant number of assets from his father, Harold, the couple decided to create a Living Trust and place most of those assets in the trust for the benefit of their children. Among those assets was a beachfront home. Eventually, Franklin and Jennifer decided to make that home their main residence. Franklin was tasked with the transfer of the deed, and informed Jennifer that to avoid probate, he would simply name Jennifer as a joint tenant. When either one of them died, the other would then assume total ownership of the residence. Unfortunately, things did not go as planned. It turned out that although Harold had left Franklin his entire estate by will, the will was never actually submitted to probate, so no assets were titled in Franklin’s name. They could not be used to fund the trust. In addition, Franklin neglected to update the deed to the home in which he and Jennifer resided, in fact, the deed remained in Harold’s name. Jennifer had no right of survivorship. Franklin and Jennifer had executed joint wills, and under the terms of that document, Jennifer was Franklin’s primary beneficiary. A pour-over provision in the will to further fund the trust did not apply until the death of the second spouse. 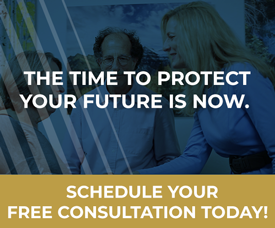 When Jennifer contacted an estate planning attorney, she was informed that under California law, she would be required to submit both estates to probate. California law requires that estates in excess of $150,000, subject to either the terms of a valid will or state intestate laws, must be submitted to probate. When Franklin’s estate was submitted to probate, several problems arose. Franklin had created a trust with the intent of using most of Harold’s assets to fund it. Unfortunately, at the time the trust was made, Franklin was not the legal owner of the assets, and his delay in assuming ownership and then transferring title of designated assets to the trust left it unfunded. His children were very upset and were considering challenging his will. Because Franklin never legally converted the deed for his primary residence to a joint tenancy with Jennifer, it was required to pass through probate. Jennifer ultimately received the home per the joint will, but it came at additional expense and delay. Because Franklin failed to legally fund his trust during his lifetime, a dispute arose over whether those assets should be included or excluded from probate. For example, the executor argued that the assets should go directly into the trust, bypassing probate. Unfortunately, the court ruled that because the assets did not actually pass to Franklin until Harold’s estate was probated, they could not be used to fund the trust. Instead, the assets passed to Jennifer per the joint will, and she could, at her option, use them to fund the trust. However, because the assets were subjected to probate court, their value was significantly diminished. When no will exists and an estate holds assets valued at more than $150,000, the estate must be probated. When a valid will exists and an estate holds assets valued at more than $150,000, the estate must be probated. When a will contains possible errors, for example, it was executed when the testator was incapacitated or someone exercised undue influence, the challenge must be submitted to probate court. Generally, assets placed in a trust bypass probate. However, there are other ways to avoid probate. For example, a deed may list two people as joint tenants, with the right of survivorship. Married couples are also permitted to own real estate as community property or as “tenancy by the entirety,” both of which provide a right of survivorship. Upon death, property held in any of these ways passes to the survivor without probate. But property valued at more than $150,000 and held as “tenants in common” may require submission to the probate process. Similarly, probate may be avoided through beneficiary designations or “payable upon death” accounts. For example, beneficiaries must be named for retirement accounts and life insurance policies. Those benefits pass immediately upon the account holder’s death. “Payable upon death accounts” usually require the beneficiary to complete some paperwork before receiving the account, but again, that transfer is not subject to the probate court. 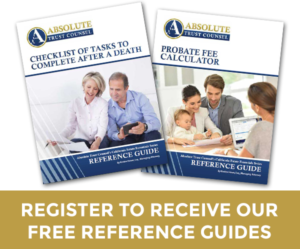 The purpose of the probate court is to clarify the terms of a will, distribute assets, and designate successor beneficiaries when parties predecease a testator. However, the process can be costly and fraught with delay. 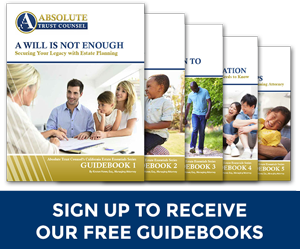 A comprehensive estate plan not only removes assets from the jurisdiction of the probate court, it also minimizes processing costs. Should You Name a Co-Executor?